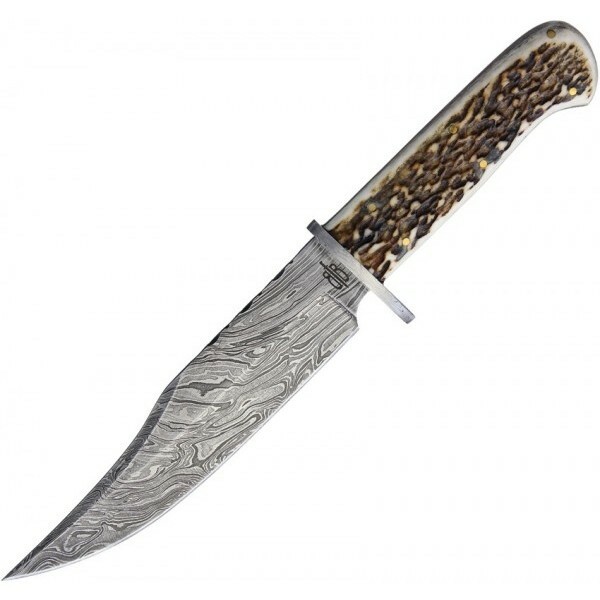 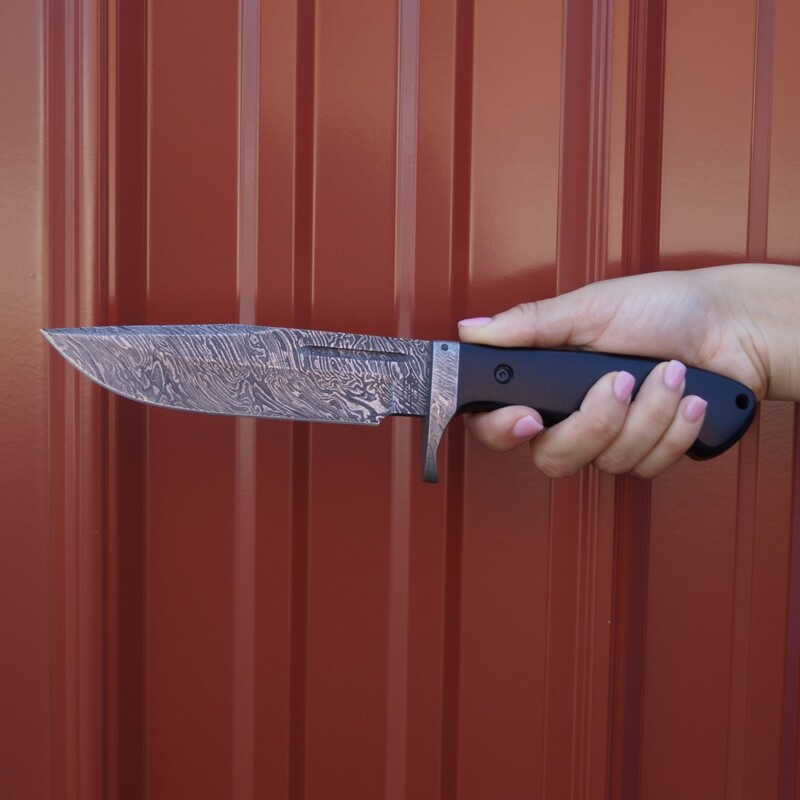 The BucknBear Bowie fixed blade offers the rugged quality which is known with a full size 1095 damascus steel blade. 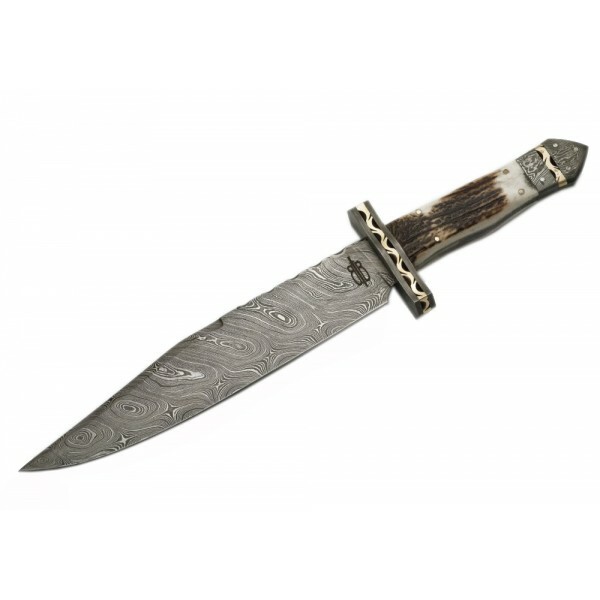 This durable hunting knife is equipped with a classic bowie style blade and authentic Micarta handle scales. 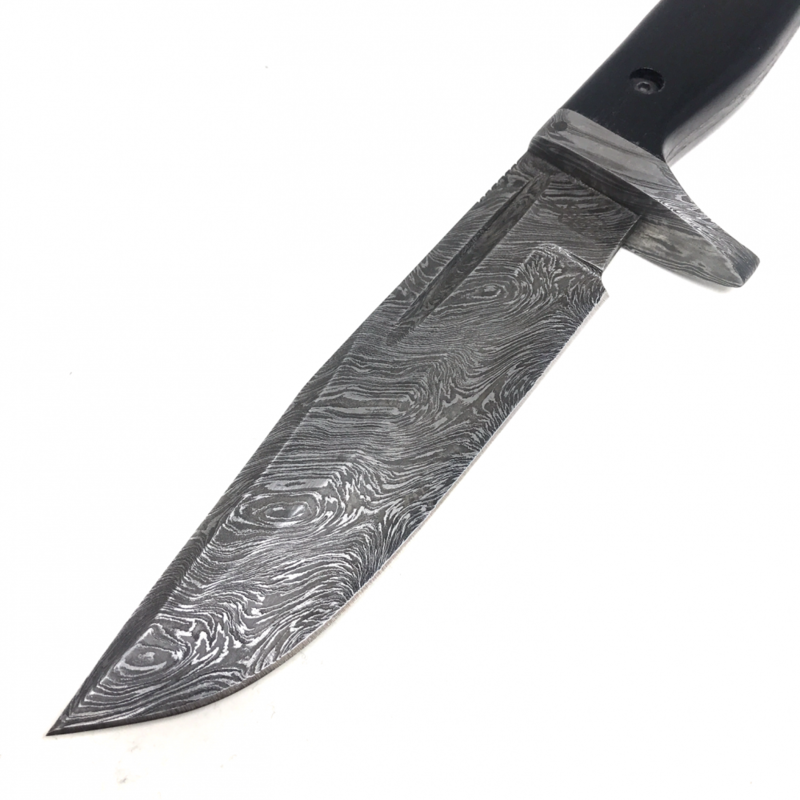 A Damascus guard and screws add a sophisticated touch to the design. 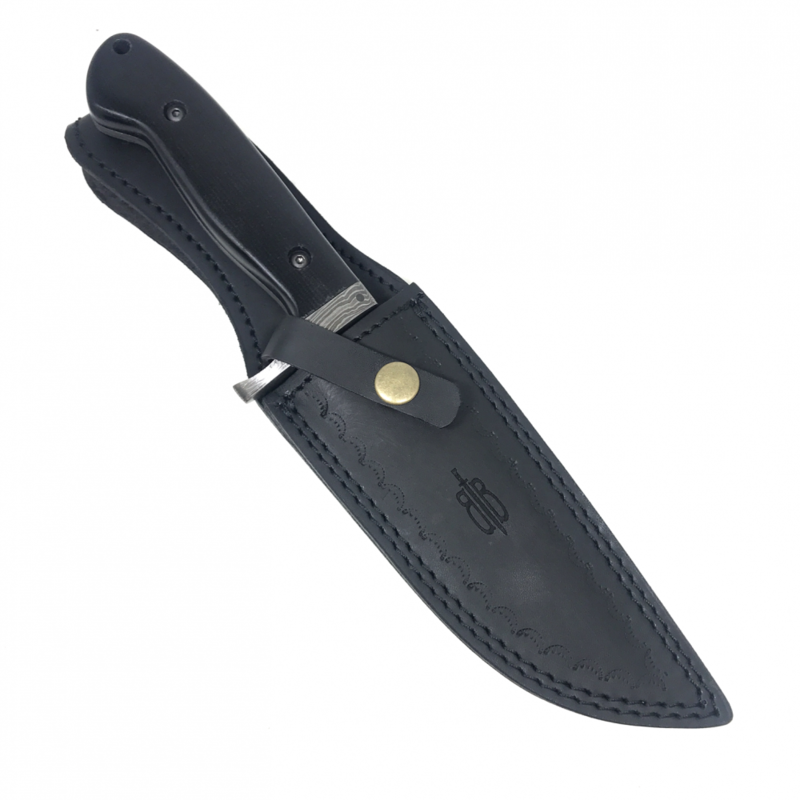 Item includes an embossed leather belt sheath.